The National Tertiary Womens Sevens Championship was hosted by Counties Manukau Rugby Football Union at the Navigation Homes Stadium in Pukekohe and the final came down to a try after a penalty was awarded right before the final hooter. The event was run alongside a New Zealand-lead International Invitational involving the Black Ferns 7s, Black Ferns 7s development squad, the All Black 7s development squad and 4 international sides. 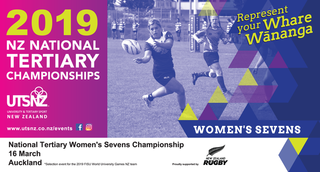 The 2019 UTSNZ National Tertiary Women's Sevens Championship tournament continues to have an international flavour with NZ Rugby running an International Womens Invitational tournament alongside the annual tertiary event. 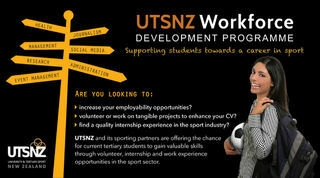 In conjunction with targeted sport partners, UTSNZ launches a new workforce development programme aiming to connect passionate and talented students wanting to put their studies to practical use with leading sport organisations, both nationally and internationally. UTSNZ is seeking to appoint two Team Operation Managers to join the New Zealand WUG Performance Support Team that will attend the 2019 World University Games (Summer Universiade) in Napoli, Italy from the 3rd to 14th July 2019. The Summer Universiade is a flagship event of the FISU Sports Events programme, one that brings up to 12,000 athletes and officials together for 12 days of elite multisport competition across a host of Olympic disciplines. The event has long been used as a springboard to a successful international sporting career by many NZ student-athletes and continues to be a key milestone for many of our Olympic and Commonwealth sports. 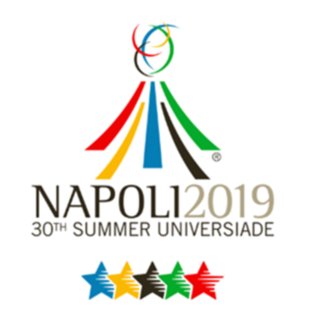 UTSNZ is delighted to announce that HPSNZ has awarded a $30,000 Prime Ministers Support Team Scholarship to fund six performance support staff members to attend the 2019 World University Games in Italy. The Health Team will take up three of those positions, with the successful applicants now officially appointed. From Archery to Water Polo, 12 National Sporting Organisations have committed to selecting their top athletes to travel to Italy next July as part of the NZ World University Games team. See here for selection criteria. The UTSNZ 2019 National Tertiary Championship calendar for next year has been finalised. Diarise the dates and register your interest with your tertiary sport department today. 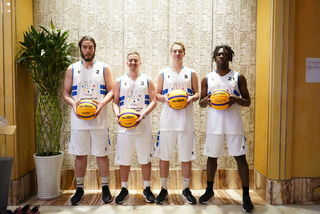 A lot can happen in four days: Lincoln University women and University of Auckland men played a whole lot of really good 3x3 at the FISU World University League finals in China a few weeks ago. They also made the most of other opportunities that came their way. Read the full review story here. National championships are synonymous with pitting yourself up against NZ's best players. 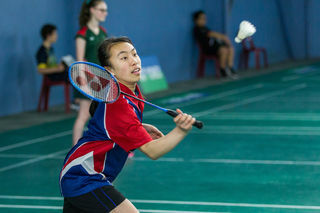 In popular sports like Badminton that competition takes place at secondary school level and tertiary level but many high school students aren't aware of that next step. For the first time in 2019 the two events will be combined in a festival of badminton which will see over 400 competitors come together under one roof. Santiago Duque Palacio came on exchange to New Zealand to learn English and soak up knowledge from Victoria's Geology professors. Playing futsal was never part of the plan, he reflects, but its not surprising that it quickly became a key part of his kiwi life and helped him to forge unforgettable memories. 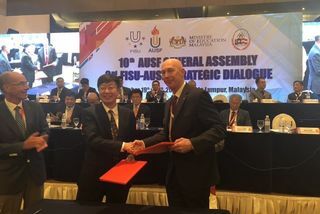 FISU Oceania and Asia University Sports Federation (AUSF) signed a two-year extension to the current Memorandum of Understanding at the AUSF General Assembly last week. Nicola Clayden, UTSNZ Board Chair, attended the Assembly to represent UTSNZ and so was able to report back on the trip and what the new MoU might mean for tertiary sport in our country. 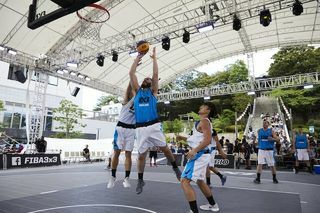 Zac Easthope and Connie Poletti speak to FISU in countdown to the 3x3 World University League coming up on 15-18 November, where the University of Auckland and Lincoln University will represent in the men's and women's finals. To ensure a high performance support service is delivered to the 2019 NZ World University Games team, UTSNZ (through the assistance of Dr Bruce Hamilton, NZOC/HPSNZ Medical Lead) is now recruiting for the Team Doctor and Physiotherapy roles. 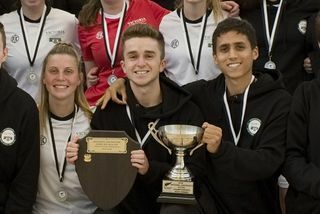 The University of Auckland has triumphed as Overall National Tertiary Champion once again, holding the University and Tertiary Sport Shield aloft for the third year in a row. This article outlines how they did it this year, the secrets to their success and why UoA students love to take part in tertiary sport. 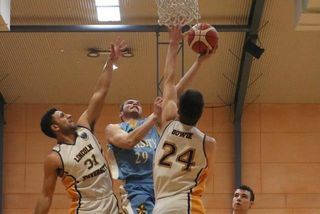 The 2018 New Zealand National Tertiary Basketball Champions have been determined after three days of intense competition in Auckland. 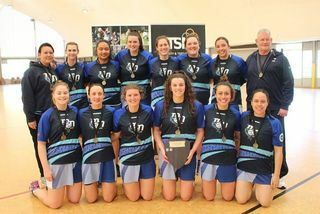 Massey University won by one goal in a thrilling finish to a hugely competitive weekend of top netball. 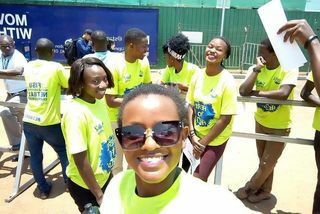 Back in May UTSNZ put the call out to tertiary students to volunteer at a FISU world university championship. Among the NZ applicants was Travis Timpson, a second-year Business Management student from Ara Institute of Technology. His application to be part of the World Uni Netball Champs as a volunteer was successful and now Travis is in Uganda! With a large number of NZ national reps set to feature in Palmerston North this weekend, the NTUC has become a major date on NZ Ultimate's performance calendar. It also plays a pivotal role in increasing participation among the 18-24 year old group. Find out what else Iain Stewart, NZ Ultimate's executive officer, had to say ahead of Saturday's throw-off. 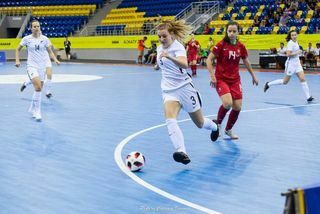 After an epic week of competition against some of the world's best tertiary futsal teams, the Uniwhites and Uniferns have both ended their historic World University Championship campaign with a win in their last two matches. See here for the results and links to other content. 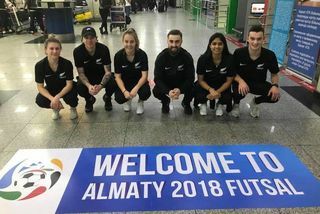 The men's and women's futsal teams are competing in the World University Championship in Kazakhstan 19-26 August.